New PADI Junior Open Water Diver certified in Samoa - Congratulations! Welcome to the underwater world Angus! 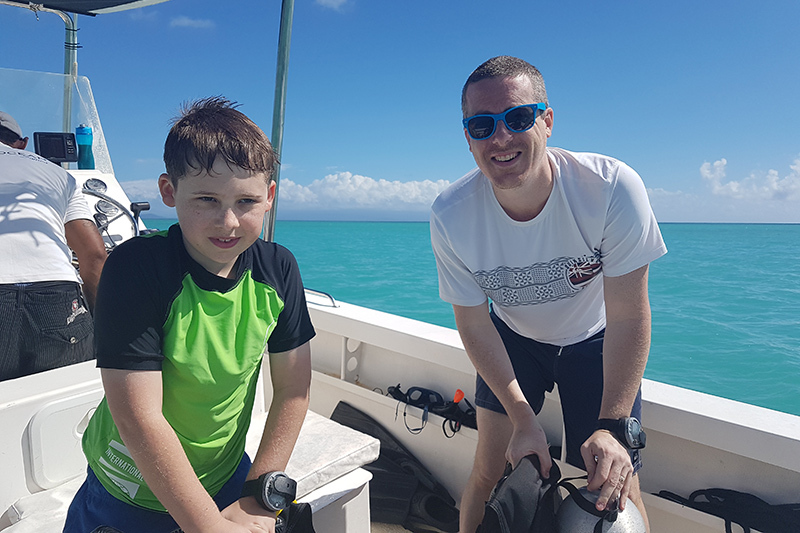 Congratulations to Angus on completing his PADI Junior Open Water Diver (JOWD) certification. Now that he’s a qualified diver he can go out and enjoy the underwater realm with the rest of his family. Everyone here at Pure Ocean wishes many years of exciting aquatic adventures. Welcome to the underwater world Angus! http://www.pure-ocean.com/wp-content/uploads/2018/07/PO_JOWD-course_800x533.jpg 533 800 Lisa Hall http://www.pure-ocean.com/wp-content/uploads/2018/11/pure-ocean-logo-final-nov-2018.png Lisa Hall2018-07-16 22:06:002018-07-16 22:06:00Welcome to the underwater world Angus! Maiden voyage for underwater drone New Pure Ocean t-shirts now available!